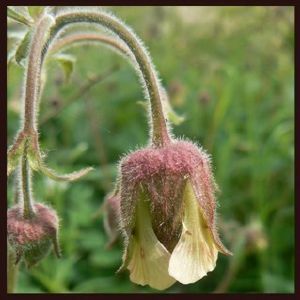 Water Avens are flowers of damp, shady places, often found beside streams and at the edges of hedges. This is a member of the rose family. The plants usually reaches a height of 50cm, and the flowers are typically 1.5 cm in diameter. The flowers, which bloom from April until September, are usually at their best in June. Supplied in a 9cm pot.